Andrade-Rivas, Federico; Rother, Hanna-Andrea (2015): Chemical exposure reduction: Factors impacting on South African herbicide sprayers’ personal protective equipment compliance and high risk work practices. Environmental Research 142, p.34–45. Dill, Gerald M.; Sammons, R. Douglas; Feng, Paul C. C.; Kohn, Frank; Kretzmer, Keith; Mehrsheikh, Akbar; Bleeke, Marion; Honegger, Joy L.; Farmer, Donna; Wright, Dan; Haupfear, Eric A. (2010): Glyphosate: discovery, development, applications, and properties. In: Nandula, Vijap K. (ed. ): Glyphosate resistance in crops and weeds: history, development, and management. Hoboken (NJ): Wiley. Pp. 1–33. Gilligan, Molly; Sabater, Laura (2017): Women’s participation and gender considerations in country representation, planning and reporting to the BRS Conventions. Washington, USA: IUCN. Gupta, Chetna; Gupta, Vaibhav K.; Nema, Pallavi; Patel, Jitendra (2012): Gender Differences in Knowledge, Attitude and Practices Regarding the Pesticide Use Among Farm Workers: A Questionnaire Based Study. Research Journal of Pharmaceutical, Biological and Chemical Sciences, 3(3), 632-639. Hemmati, Minu (2000): Gender-Specific Patterns of Poverty and (Over-)Consumption in Developing and Developed Countries. In: E. Jochem, J. Sathaye & Daniel Biulle (eds.). Society, Behaviour, and Climate Change Mitigation. Proceedings of IPCC Expert Group Meeting on Social Scientific Approaches to Climate Change Mitigation. pp169-190. Klewer Publications. Honkonen, Tuula; Khan, Sabaa A. (2017): Chemicals and Waste Governance Beyond 2020. Exploring Pathways for a Coherent Global Regime. Nordic Council of Ministers 2017. Lynn, Helen (2007): Politics and prevention: Linking breast cancer and our environment. WECF. Peterman, Amber; Behrman, Julia; and Quisumbing, Agnes (2010): A Review of Empirical Evidence on Gender Differences in Nonland Agricultural Inputs, Technology, and Services in Developing Countries. IFPRI Discussion Paper 00975. International Food Policy Research Institute, Washington, DC. Prüss-Ustün, Anette; Mathers, Colin; Corvalán, Carlos; Woodward, Alistair (2003): Introduction and methods: Assessing the environmental burden of disease at national and local levels. Environmental burden of disease series No. 1. World Health Organization, Geneva. Schultz, Irmgard (1998): Umwelt- und Geschlechterforschung – eine notwendige Allianz. ISOE-DiskussionsPapiere, 2. Frankfurt am Main: ISOE – Institut für sozial-ökologische Forschung. United Nations Environment Programme (2013): Global Chemicals Outlook – Towards Sustainable Chemicals Management. United Nations Environment Programme, Nairobi, Kenya. United Nations Environment Programme (2016): Global Gender and Environment Outlook. United Nations Environment Programme, Nairobi, Kenya. World Health Organisation (2009): Women and Health: today’s evidence tomorrow’s agenda. World Health Organization, Geneva. 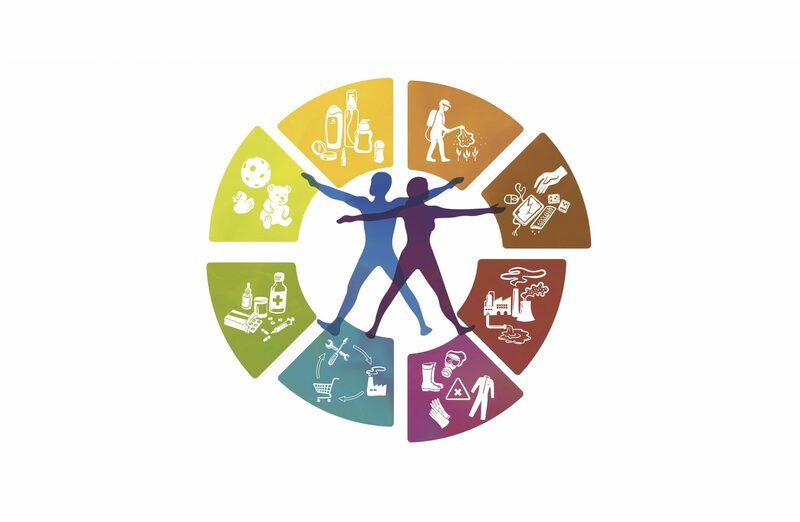 World Health Organisation (2017b): Preventing noncommunicable diseases (NCDs) by reducing environmental risk factors. Geneva: World Health Organization. World Health Organisation and United Nations Environment Programme (2013): State of the science of endocrine disrupting chemicals – 2012. United Nations Environment Programme (UNEP) and World Health Organization (WHO).